The Mid-Atlantic Gateway is on a temporary hiatus. 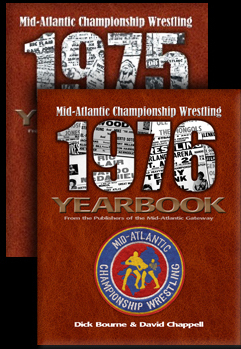 We’ll be back soon with more great Mid-Atlantic Championship Wrestling memories, including a brand new interview! Until then, so long for now. I just came across a great interview with Jerry Brisco conducted by Marshall Ward for the Canoe Slam! Wrestling website. 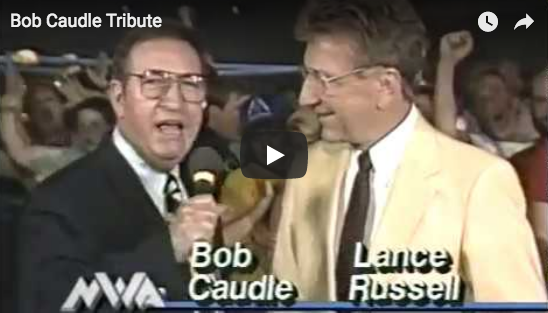 While the interview is not dated, I believe it took place not long after the Cauliflower Alley banquet in 2015 where Jerry was presented with the 2015 Lou Thesz Lifetime Achievement Award. 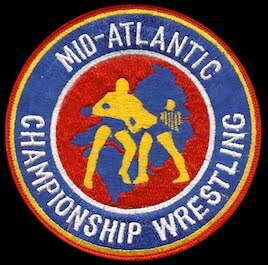 There is lots of great Mid-Atlantic Wrestling content in the interview, particularly Jerry talking about his heel run in the Mid-Atlantic area being his favorite of his career. There's a promo on YouTube now that somebody sent me the other day that I'd forgotten all about. And you know how Edge and Christian used to do that five-second photo op? 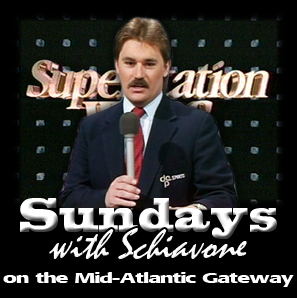 Well, Jack and I were doing a promo with Bill Ward, the commentator in Mid-Atlantic Wrestling and so I come out and I said a couple words, something like: "I know you people are tired of what I've got to say, you're tired of listening to me, so I'm going to give everybody out there what you want the most. Jack and I standing here for five seconds smiling pretty for you." So we just stood there and didn't say a word for five seconds, just smiling real arrogantly and then walked off the set. So I said to Edge, "You stole that!" and he said he never saw it. So I joked, that was the original five-second pose (laughs). That 'somebody' that sent him the promo was the Gateway. I came across it on one of David Chappell's old VHS video tapes. I thought you might like to see the actual promo that Jerry mentions. It is just wonderful and embodies the total arrogance of the Brisco Brothers during their memorable heel run with Ricky Steamboat and Jay Youngblood ("Youngboat") over the NWA world tag team titles in 1983. Jerry and Jack Brisco's Million Dollar Smile! It didn't get any better than that! "The American Dream" Dusty Rhodes wasn't the only one with a "million dollar smile." The Brisco Brothers remain one of my favorite tag teams of all time. We enjoy wrestling clippings, and we include many of them in our posts here on the Gateway. But this one had us laughing a little bit. The actual winners of the three main events are correct. But it's like someone on the late shift at the sports desk decided that alone wasn't sufficient; they felt the need to make up how they won. Fake news! This clipping is notable for two reasons. First, it is from a historic show at the Greensboro Coliseum (October 16, 1976) where the three top championships in the territory changed hands on one night. This was very rare in those days, and I guess very rare for any era. But it is also memorable for how the reported finishes were clearly made-up from whole cloth by whomever wrote this little blurb for the sports section. At least the actual winners were correct. 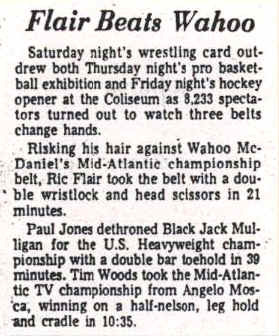 Risking his hair against Wahoo McDaniel's Mid-Atlantic championship belt, Ric Flair took the belt with a double wristlock and head scissors in 21 minutes. He had the stipulations right, he had the right title on the line. He had the winner right. He may have even had the time right. So why make up the finish? 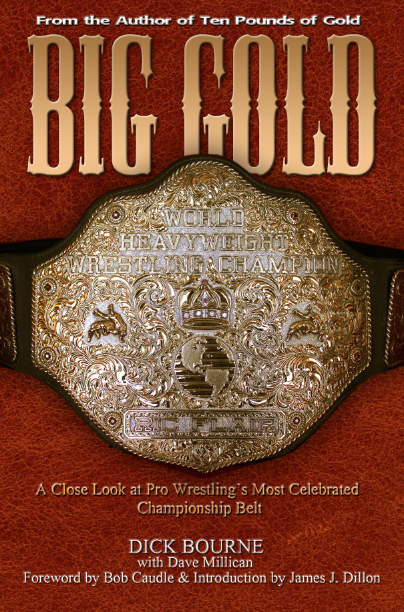 Paul Jones dethroned Blackjack Mulligan for the U.S. Heavyweight championship with a double bar toehold in 39 minutes. Tim Woods took the Mid-Atlantic TV championship from Angelo Mosca, winning on a half-nelson, leg hold and cradle in 10:35. It should be noted that these made up finishes stand in stark contrast to the nice reporting in the first paragraph of how wrestling outdrew other recent sporting events at the coliseum. Plus, he did get the actual results right. I guess someone called those in, because this guy clearly wasn't at the show. And goofy stuff like this wasn't that uncommon for the Greensboro paper during this time. Newspaper clippings for old wrestling shows are always interesting to us, just sometimes for odd reasons! Nope. Just break a man's leg and brag about it. When Arn Anderson arrived in Georgia Championship Wrestling in 1983 and began teaming with Matt Borne, the two began wearing fedoras to the ring. It was a trademark Arn kept through his time in Georgia and Southeastern Wrestling in Alabama, and on through his early days for Jim Crockett Promotions in the Carolinas. During a visit to the Conradisson in August of 2015, I asked Arn about the origin of the fedora. "That was all Matt Borne," he said. "He wore it when he was part of the "Rat Pack" in Mid-South Wrestling teaming with Ted DiBiase. I liked it and so we started wearing them as a team [in Georgia]." Their manager, Paul Ellering, would occasionally wear one, too. Right away, Georgia booker Ole Anderson didn't like it. Ole: "What the hell are you wearing?" Ole: "Well I hate it." "Ole just shook his head and walked away," Arn told me. "I'm not sure I completely fit the Anderson mold yet." When Matt Borne was fired from the Georgia promotion a few months later, Arn lost his spot with the company. 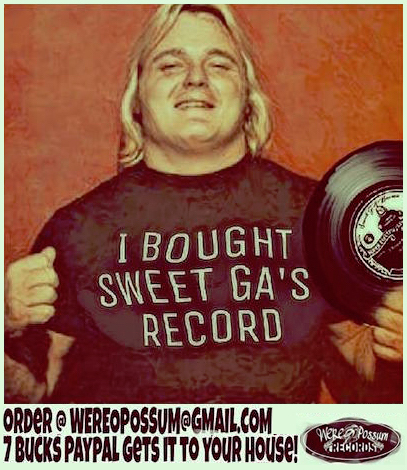 Bob Armstrong was leaving Georgia, headed to work for the Pensacola, FL booking office known as Southeastern Championship Wrestling. Bob got Arn booked there and the fedora went with him. Arn soon formed a very successful tag team with Jerry Stubbs in Southeastern Championship Wrestling. Stubbs wore a mask working as "Mr. Olympia" and Arn came in also under a mask as "Super Olympia." Eventually they both worked without their masks and held the Southeastern Tag Team championships many times. 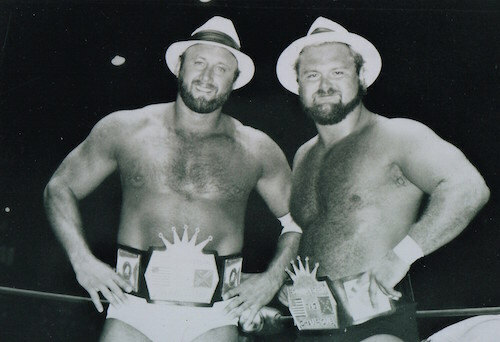 Just as Matt Borne had passed on the fedora tradition to Arn, Arn now passed it on to Stubbs, and the two wore the trademark hats during their championship run there. 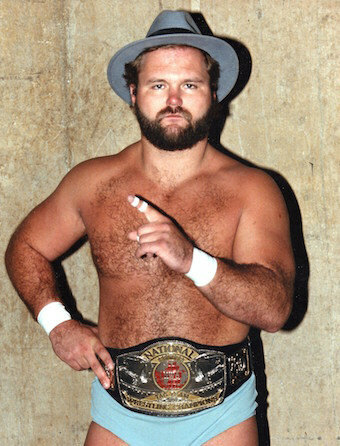 When Arn went to work for Jim Crockett Promotions in the spring of 1985, he occasionally wore the fedora there, too. This time, when paired with Ole Anderson as the new Minnesota Wrecking Crew, Ole put his foot down. "Ole told me, Andersons don't wear fedoras. And that was that." Ole made Arn ditch the fedora (although it popped up a time or two after that) and order the trademark maroon and gold striped boots that had been worn by Andersons going back to 1966 when Gene and Lars first wore them in Georgia. Those boots became the Anderson trademark, and had been worn by Gene and Ole ever since. While Arn didn't wear them all the time, he did often wear them teaming with Ole in 1985 and 1986. Personally, I always loved Arn in the fedora. It just suited him well and was a common thread through his early career in his first three territories. So at least one Anderson did wear a fedora. And in the great tradition of the Anderson family, that Anderson had one of the great tag-team careers in the history of pro wrestling. 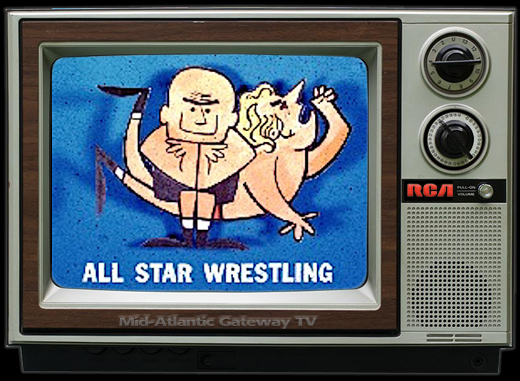 This story was edited from a larger post about Arn Anderson originally published on the Mid-Atlantic Gateway in August 2015. 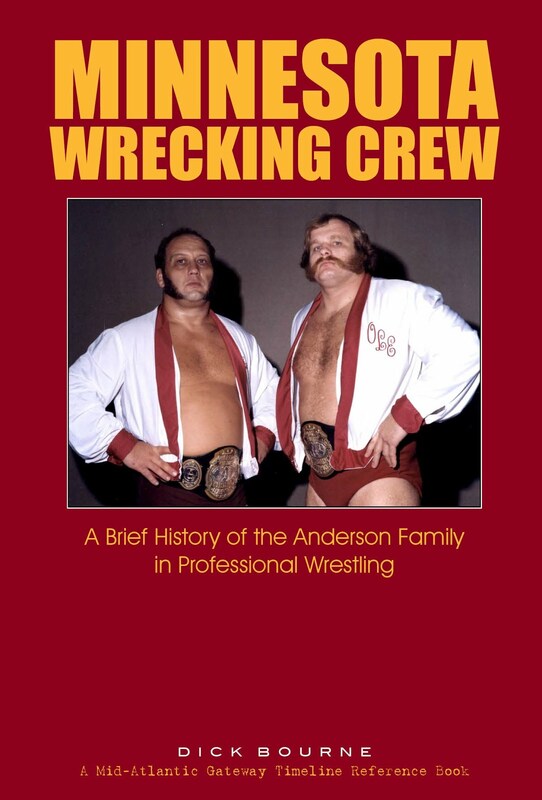 Check out the complete timeline history of the Andersons in the book "Minnesota Wrecking Crew" available on Amazon.com or directly from the Mid-Atlantic Gateway (look for the PayPal link.). For more information visit the Minnesota Wrecking Crew page on the Mid-Atlantic Gateway. Matty has done some amazing customizations of wrestlers from the territory days that don't have commercial action figures. A couple of weeks ago, we took a look at how he built a custom Jay Youngblood figure, and then modified a commercial Ricky Steamboat figure so that it would reflect how Ricky looked in the 1970s/1980s in Jim Crockett Promotions. Good stuff! This week we take a look at a team that was arguably Steamboat and Youngblood's top rival over their time as a team together, Sgt. Slaughter and Don Kernodle. "Sgt. Slaughter was an easy one for me," Matty wrote me. "Simple arm, boot and calf swap. Mattel has already produced a couple Slaughter figures so the head was already there for me, the rest was and easy part swap." He went on to explain further how the process works. "I take a hair dryer to the joints of a figure, that way parts are easier to pop off and put on others." "Kernodle, on the other hand, has the old school trunk/singlet gear and I needed a head," he explained. "So I had to pop open the torso and trunks, to get the legs on him, and glue them. Then I took a Curtis Axel head and sculpted hair using Apoxy Sculpt, let it air dry and painted it." The results were great. "I’m pretty happy with the way they came out," Matty wrote. "First time seeing them, so that is always a plus." Sarge and "Noodle" first won the NWA World Tag Team titles in a fictional situation after the titles had been abandoned by Ole Anderson and Stan Hansen. 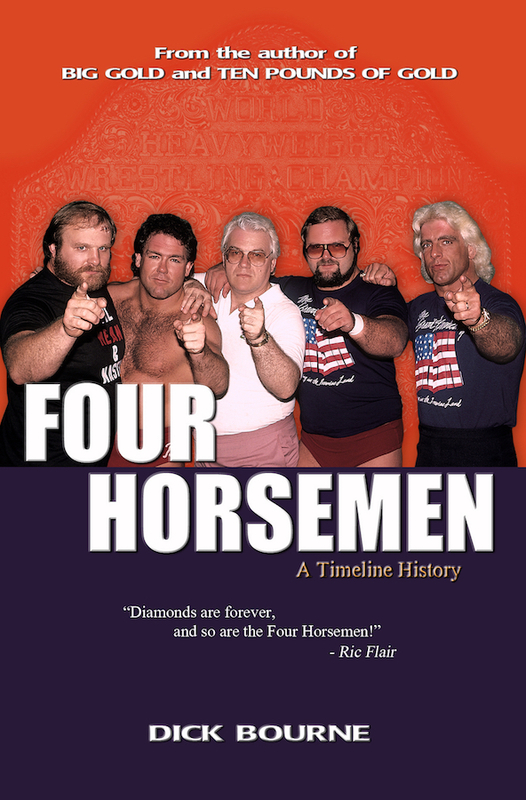 Hansen and Anderson came out on top of the famous 5-month tournament series in the late winter and spring of 1982, but during their reign behind the scenes, JCP booker Ole Anderson left the company and returned to full-time status ion Georgia, while he and Stan still had the belts. Eventually, Jim Crockett wanted his belts back and so after the belts were returned, JCP concocted a story where a tournament was held in Japan for the vacant titles and Sgt. Slaughter and Don Kernodle defeated the team of Giant Baba and Antonio Inoki to win the belts. There was obviously no Internet in those years and the vast majority of wrestling fans had no knowledge of Japanese wrestling. So that preposterous story (Baba and Inoki were actually rival promoters at the time) was conceived just as a way to get the belts on Sarge and Kernodle and simply move forward. The Slaughter/Kernodle vs. Steamboat/Youngblood rivalry was a classic, and resulted in one of JCP's most successful shows ever March of 1983 where "Youngboat" finally regained the titles in a famous cage match at the Greensboro Coliseum. 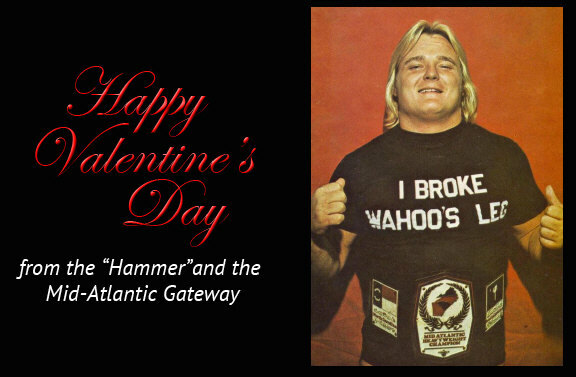 The turn-away crowd led Crockett to believe there was the possibility of utilizing closed circuit for a future big shows, and from that the Starrcade event was eventually born as a closed-circuit event a year and half before the first Wrestlemania closed-circuit event in the WWF. More to come on selected Friday's as we take a look at action figures that take us back to the Mid-Atlantic days. Visit Matty's various social media pages for his ongoing presentations of wrestling memorabilia and nostalgia: Twitter (Wrestlingwclassics @wrestlingwclass) Instagram (@wrestlingwclassics) and Facebook (@wrestlingwclassics). With the arrival of 1980, Tim Woods got multiple chances to exact the ultimate revenge against Jimmy Snuka in the month of January. That is, defeat the "Wildman" for his United States Heavyweight Championship belt. The first of the January U.S. Title bouts occurred in the port city of Charleston, South Carolina on January 4th, as Snuka slipped through to a pinfall victory at County Hall in a contest that was evenly fought throughout. Woods and Snuka met again on January 7th, this time in the Cumberland County Memorial Auditorium in Fayetteville, North Carolina in perhaps the most violent bout to date between the arch-rivals. Jimmy, despite losing copious amounts of blood, still left Fayetteville with his prestigious belt in tow. The next night at the Township Auditorium in Columbia, South Carolina, the match for the U.S. Title had a decidedly different flavor. Tim controlled the majority of the encounter, prompting Snuka and Gene Anderson to leave the ring before a decision was reached, leading to a countout win for Woods. However, the win was a hollow one for Woods as Jimmy still retained the belt. But it gave promoter Henry Marcus a good reason to bring the combatants back to Columbia the following week in a match where the "Superfly" couldn't run! On January 15, 1980, Tim had his best shot to date at whipping Snuka for the United States Title, as the return match in Columbia was a Lumberjack match and the Superfly couldn't leave the ring when things got heated. A host of other wrestlers surrounded the ring and were poised to throw Jimmy right back into the squared circle if he tried to take off. Tim's loss in this specialty match, one that seemed to highly favor him, appeared to signal that "Mr. Wrestling" was unlikely to ultimately dethrone the Superfly. In the remaining two U.S. Title bouts in January, Snuka showed more of a dominating presence and did not require Gene Anderson's chicanery to emerge victorious. On January 18th in the Winston-Salem Memorial Coliseum, Jimmy wore down Tim with his strength and power to score a decisive victory. 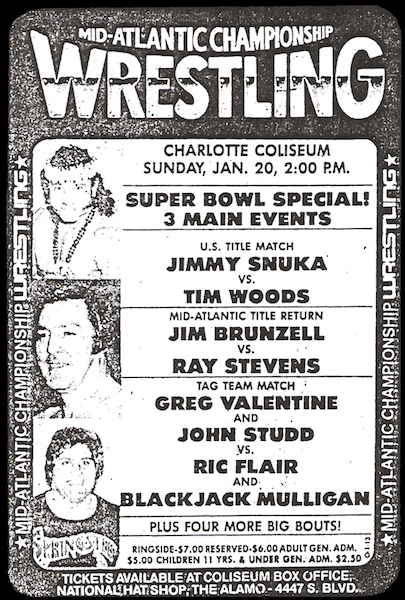 More of the same occurred in the Charlotte Coliseum on the afternoon of Super Bowl Sunday, January 20th. In what would be Tim Woods' last crack at Jimmy Snuka and the United States Heavyweight Title, the Superfly dispatched Tim in twenty-four minutes for a convincing win before a disappointed crowd in Charlotte. For the next couple of weeks, Tim Woods wrestled mid-card bouts against the likes of Dewey Robertson and the results were a mixed bag. Tim's last significant match ever in Mid-Atlantic Championship Wrestling was an opening round tournament match that was taped on February 6, 1980 against the Masked Superstar #1 in the TV tournament for the vacant NWA Television Title. Woods dropped that bout, and Superstar #1 would go on to ultimately win the tournament. When Tim Woods stopped appearing in Jim Crockett Promotions events later in February of 1980, there was no reason to believe that we wouldn't see "Mr. Wrestling" again soon. After all, he had many short absences from the Crockett territory during the 1970s, only to reappear and be engaged in a new and different program. But this go-round there would be no returns for Tim "Mr. Wrestling" Woods. We as fans had to be content to remember all the great skills and thrills this exceptional grappler provided us over many years in the Carolinas and Virginia...including a very memorable "last stand." Time for another wrestling blooper, this time on a poster instead of our usual newspaper clippings. When I saw this one I literally laughed out loud. Something caught me off guard about Jay "YOUNGBLOOB." The "B" and the "D" keys are not really close to each other on the keyboard, so not sure how this one happened! Interesting poster in 1982 from a small community right outside Richmond VA. Funny to see Jimmy Valiant and Paul Jones teaming together given that soon would begin a feud that would last off and on for 5 years. Also, an interesting main event of Angelo Mosca challenging Ric Flair for the NWA World title. Mosca was in during this time primarily as a participant in the ongoing NWA World Tag Team championship tournament with partner Killer Khan. So I don't normally think of him as a top singles competitor during that time period. 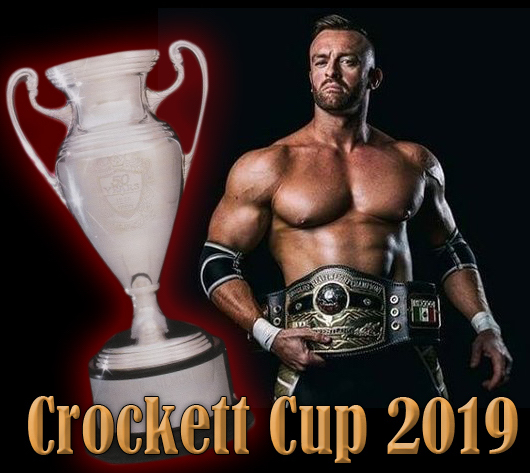 However, that said, he was the reigning Canadian Heavyweight champion for the Toronto office, which had strong booking ties with Jim Crockett Promotions. Perhaps ol' Angelo had to come all the way to Midlothian, VA in the USA to get his well earned shot at the champ! Jay "Youngbloob." That's one for the ages. Ring announcer Boyd Pierce raises the hand of a triumphant Jack Brisco moments after Brisco defeated Harley Race for the NWA World Heavyweight championship on July 20, 1973 in Houston, Texas. A dejected Race is seen in the corner behind them. NWA President Sam Muchnick is at left. 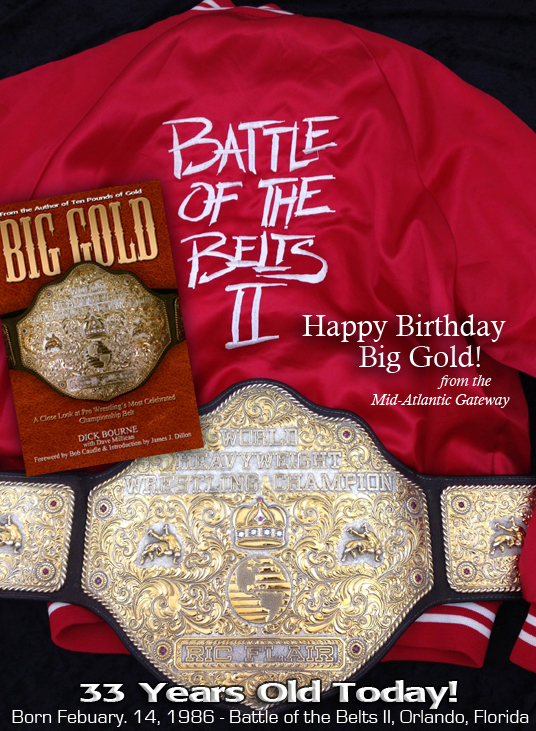 He had attended the card that night in Houston and brought the new NWA World title belt with him. 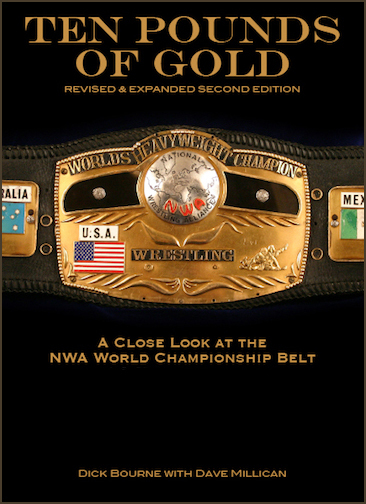 It was presented to Race before the match, but he didn't have a chance to enjoy the new belt, as Brisco took the 2-out-of-3 fall match and the championship laurels that night. 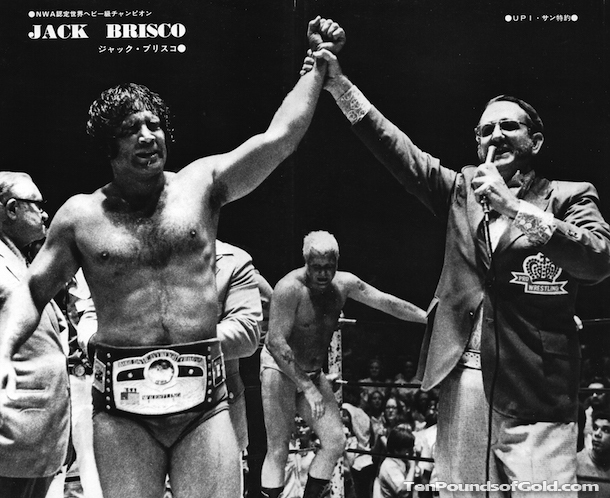 Although hidden behind Brisco in this photograph so you can't see him here, it is Tiger Conway, Jr. who is strapping the belt around the new champion's waist. A wonderful photograph, perhaps taken by promoter Paul Boesch who took many photos during the match and in the ring afterwards that night, featured in an issue of Gong Magazine in Japan. What a classic poster we feature this week from March 22, 1981 in Greensboro, North Carolina, featuring an NWA World Tag Team title change and a rare World Wide Wrestling Federation (WWWF) title defense on an NWA show. In the late summer of 1980, the Masked Superstar became a "good guy" in the Mid-Atlantic area, feuding with Gene Anderson's Army. He teamed up with former adversary "No. 1" Paul Jones and the two of them defeated Gene Anderson's team of Jimmy Snuka and Ray Stevens for the NWA World Tag Team titles on Thanksgiving night 1980 in Greensboro. Jones and Superstar lost the titles to Stevens and his new partner Ivan Koloff in February of 1981 in Greensboro, but were determined to get them back. On this night they did just that, taking 2-out-of-3 falls to recapture the gold. Jones and Superstar would hold the titles for about 6 weeks until losing them again to Gene and Ole, the Anderson Brothers. Gene had been a manager since December of 1979, but returned to the ring in April of 1981 to join his brother who was returning from Georgia to get the gold belts back. In the semi-main event, WWWF Champion Bob Backlund defended his title against "Bad Boy" Bobby Duncum. The two renewed their rivalry from a year earlier where Duncum had been Backlund's number one contender for that title in the WWWF. Interesting to see Backlund billed here as "Bobby" Backlund. I actually like that better. 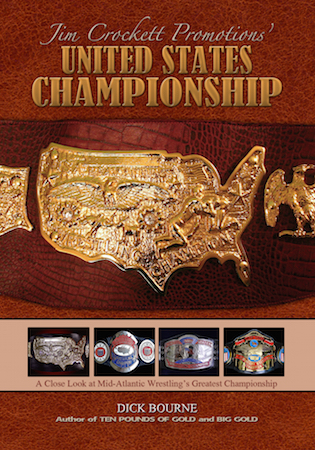 Backlund didn't make too many title defenses outside the traditional WWWF territory, but over the years he took the title to several NWA territories, including Florida and a memorable WWWF vs. NWA battle with Ric Flair in Georgia. It wasn't the first time Bob Backlund defended the WWWF title in Greensboro. 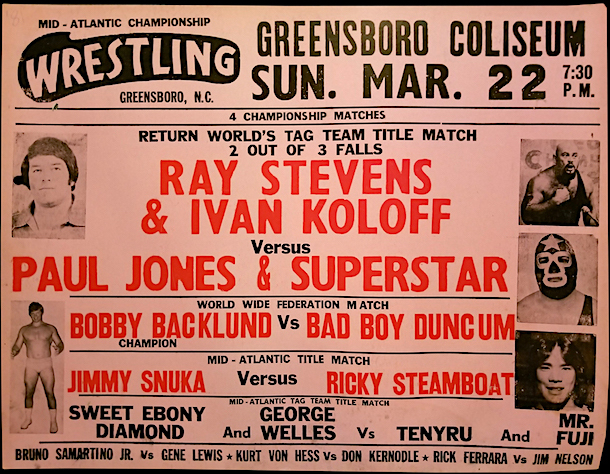 Back in November of 1978, Backlund brought the title to the Greensboro Coliseum and successfully retained against the Mid-Atlantic Champion Ken Patera. The two of them had feuded over the WWWF title a year or so earlier. - Jimmy Snuka and Ricky Steamboat were magic in the ring together, and had another match up here, battling over Steamboat's Mid-Atlantic Championship. Their matches could be brutal, but could also be textbook examples of beautiful scientific pro wrestling. - Bruno Sammartino, Jr. is on this card, and it's interesting seeing the names Sammartino and Backlund on a Mid-Atlantic card. - Don Kernodle and Jim Nelson are in opening bouts, but each would be getting ready for big career breaks just a year later as part of Sgt. Slaughter's Marine unit. - Sweet Diamond, most people know, was Rocky Johnson. - Mr. Fuji and Tenyru were Mid-Atlantic Tag Team Champions at this time.